B5 is a fast paced thriller that aspires to be epic. The story is built around several different stories that are tied together in the end. It starts with an attack in Stockholm, but pretty soon it becomes apparent that “the art” will play a central role. On paper this is a novel that should be right up my alley, and sure, I do like it…but…it is too much of a “good thing.” Too many places (the story jumps around in a bunch of countries), and too many characters and plots to keep track of. Also, the portrayals of women seem very dated. The author uses full names 99% of the time a name us used, which to me is completely incomprehensible. 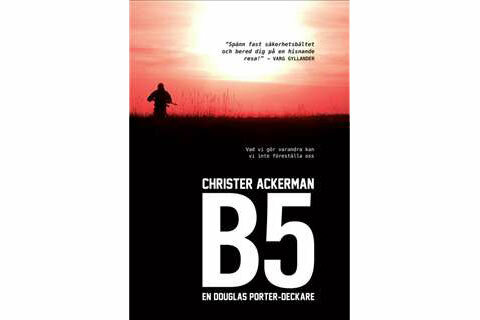 If B5 comes out in paperback I really hope that they will reconsider and change it. If you like hard-boiled crime novels with a lot of action it is still worth reading (I would probably have liked it better if he had not used full names).